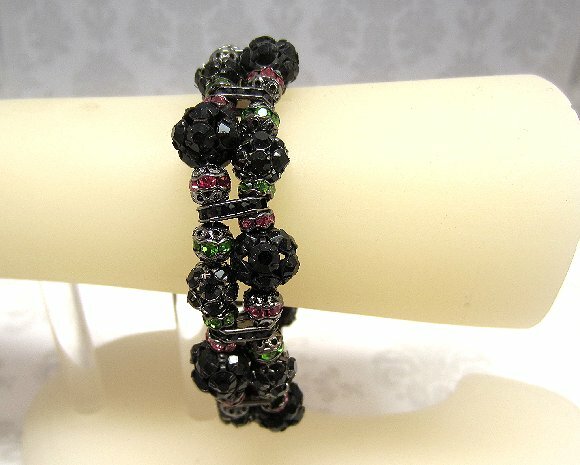 With its double strand of jet rhinestone beads and spacers, and its gunmetal findings, this bracelet has a distinctively vintage look. 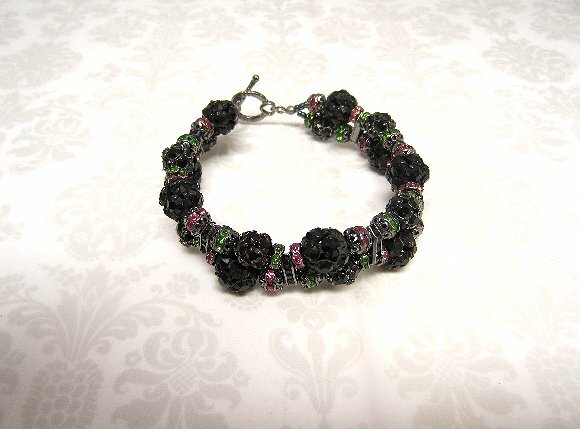 The jet black crystal rhinestone beads are spaced by rounds and roundels of rose and peridot green crystal rhinestone beads. 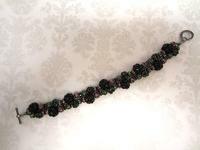 The evening / wedding / prom bracelet measures a comfortable 8" in length by about 5/8". 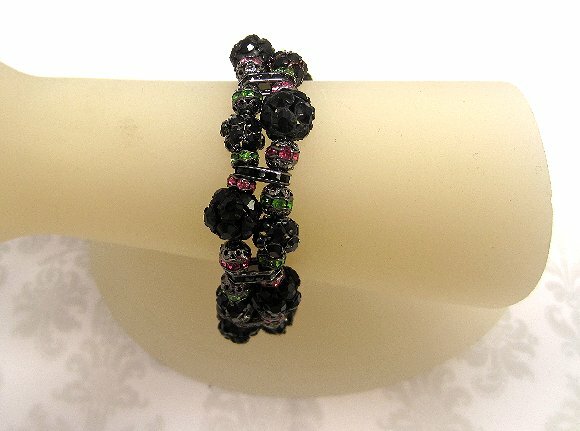 Not only is it perfect for an evening wedding, it will also work for a prom, graduation, or any other fancy-schmancy event.